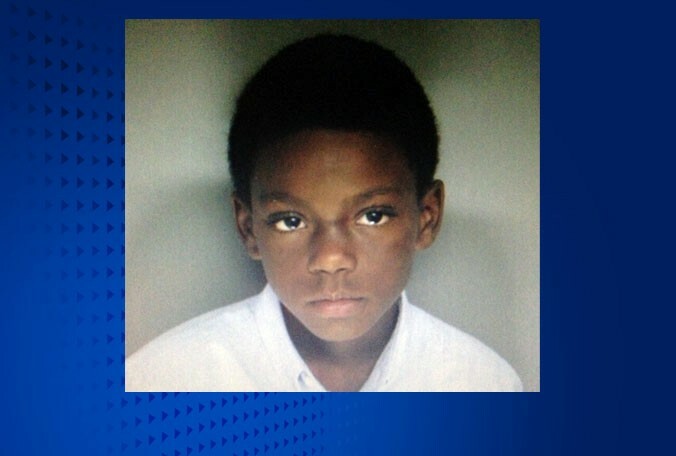 9 year old Karim Daniels has been missing since Thursday, March 21, 2013 in Orlando, FL. Karim Daniels was dropped off by a family member at Lizzie Rogers Park about 6 PM. However, according to a police spokes person, when the family came to pick up the child about 7:30 PM, he was gone. Huh, the family just dropped the kid off at the park by himself for 1-1/2 hours? A nine year old? Sorry, but something just does not seem right about this missing person story. Either, it is a situation of parental/family neglect because who in the hell in this day and age leaves a 9 year old alone in a park at 6PM, let alone 10AM in the morning? Or, Karim Daniels was never brought to the park and went missing elsewhere. The question that needs to be asked is when was the last time the boy was seen by anyone other than the family member that claims to have left him at Lizzie Rogers Park. Karim stands about 4-foot-1, weighs approximately 75 pounds and was last seen wearing a white shirt, blue jeans and black sneakers. Of anyone with information on the whereabouts of Daniels, please call the Orlando Police Department at 321-235-5300. UPDATE I: Police officers say a 9-year-old who was missing overnight has been found safe.